We love it here. Great service and friendly staff. Mario Cerdan-Trevino is a dedicated and diligent neurologist caring for the Brownsville, TX community. 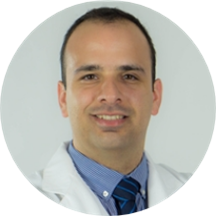 Dr. Cerdan-Trevino obtained his medical degree from Universidad de Monterrey Facultad de Medicina. He also completed his internship at the Baylor College of Medicine, residency in internal medicine at the Texas Tech University, Lubbock, residency in neurology at the University of Colorado, and a fellowship in vascular neurology at the Johns Hopkins University. Dr. Cerdan-Trevino is a part of Neurology Clinic - Brownsville. He is board certified in neurology by the American Board of Psychiatry & Neurology. Dr. Cerdan-Trevino received the Humanism Honor Award by the Goal Humanism Honor Society, the Best Resident Award by the Texas Tech Health Sciences Center, and the Excellence Award Scholarship by the Universidad de Monterrey. Dr. Cerdan-Trevino is dedicated to helping patients receive the treatment they need so they can enjoy a positive and fulfilling lifestyle. He gives each patient his focused attention, and he prides himself on delivering the best treatment available. Muy bien, muy buena atencion medica y mucho gusto que el Dr. Cerdan regreso. Very professional & informative. Excellent bedside manner. Very satisfactory! Glad to see Dr. Cerdan back. Dr. is very humanly kind. Thank so much for making me feel at ease.